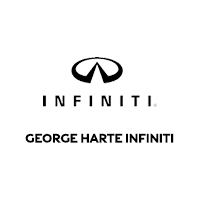 If you’re looking to upgrade your daily drives in a luxurious new INFINITI, come peruse the selection that we have available at George Harte INFINITI. We have an impressive inventory of INFINITI cars for sale, as well as capable, family-friendly INFINITI SUVs. Whether you’re looking for a new car for family road trips or want something efficient for your daily drives to work, you can rest assured that you’ll find what you need at our INFINITI dealer near Cheshire, CT. Take your time browsing the selection on our lot before taking a test-drive, and feel free to ask our expert INFINITI sales staff any questions you may have! We understand that you have lots to consider when buying or leasing a new automobile. Your time on the road should be met with utmost luxury, and INFINITI is here to ensure that happens. Consider leasing a new INFINITI QX50, QX60 or QX30 SUV if you’d like something big enough for the whole family, or see how you feel behind the wheel of an INFINITI Q50 sedan or Q60 coupe. If you’re unsure of exactly which INFINITI you’d like, take your time browsing our inventory and test-driving a few different luxury models to see what suits you best. Then, talk with our INFINITI finance team about the different leasing options and APR financing rates that are available. Before your visit, take a look at the different finance and lease specials that we’re offering on new INFINITI vehicles. We’re always updating these specials to ensure our customers enjoy enticing prices as they upgrade to a luxurious new INFINITI. Contact us with any questions today, or stop by our Connecticut INFINITI dealer to browse the different models that we have in stock. Buy or lease a new INFINITI car or SUV near Cheshire, CT, today.